Kong Dog Toy | Ian's Tech Ramblings. A very simple way of keeping your dog occupied for at least an hour! The Kong is hollow, with a hole at each end. You fill it with a mixture of dog food and biscuits and put it in the freezer. When it's completely frozen just give it to your dog. 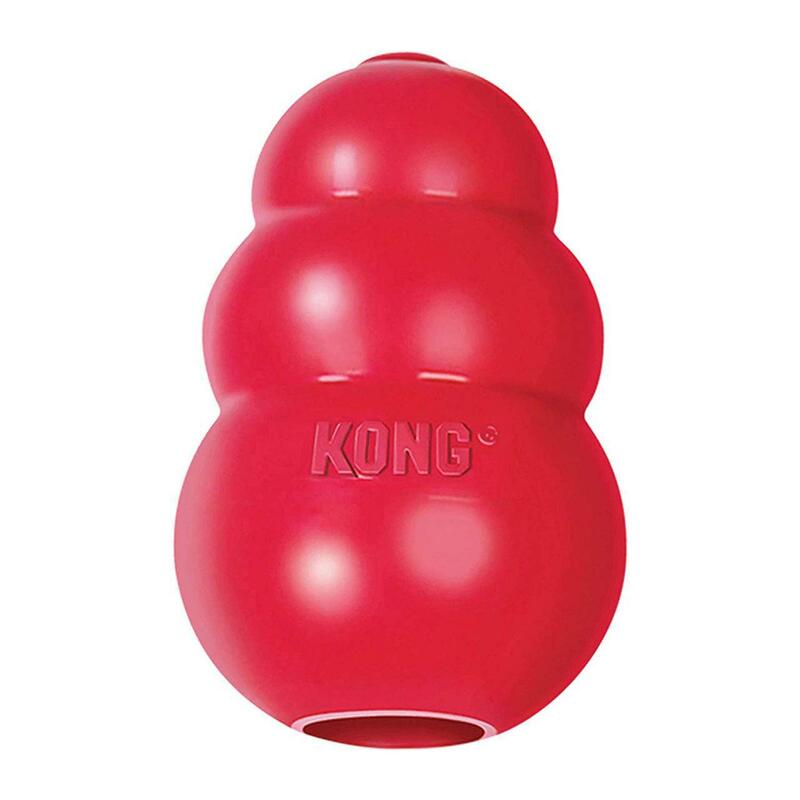 The idea is the dog can only get at the food inside the Kong with its tongue, so it lasts a long time. Our dog normally takes about an hour to completely empty it. The material the Kong is made from appears to be totally indestructible. Our dog is capable of chewing his way through most materials, but the Kong is undamaged after more than a year.